Novel pharmacological treatments are needed for Tourette syndrome. Our goal was to examine the current evidence base and biological rationale for the use of cannabis-derived medications or medications that act on the cannabinoid system in Tourette syndrome. 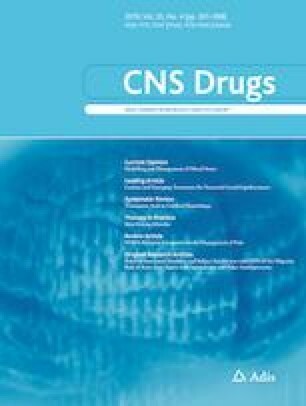 We conducted a comprehensive literature search of PubMed for randomized controlled trials or clinical trials of cannabis-derived medications in Tourette syndrome. Data regarding the population, intervention, safety profile, and outcomes for each trial were extracted and reported and the evidence supporting use of individual cannabis-derived medications was critiqued. There is a strong biological rationale regarding how cannabis-derived medications could affect tic severity. Anecdotal case reports and series have noted that many patients report that their tics improve after using cannabis. However, only two small randomized, placebo-controlled trials of Δ9-tetrahydrocannabinol have been published; these suggested possible benefits of cannabis-derived agents for the treatment of tics. Trials examining other agents active on the cannabinoid system for tic disorders are currently ongoing. Cannabinoid-based treatments are a promising avenue of new research for medications that may help the Tourette syndrome population. However, given the limited research available, the overall efficacy and safety of cannabinoid-based treatments is largely unknown. Further trials are needed to examine dosing, active ingredients, and optimal mode of administration of cannabis-derived compounds, assuming initial trials suggest efficacy. Clinical use for refractory patients should at the very least be restricted to adult populations, given the uncertain efficacy and risk of developmental adverse effects that cannabinoids may have in children. Even in adult populations, cannabis-derived medications are associated with significant issues such as the effects they have on driving safety and the fact that they cause positive urine drug screens that can affect employment. Dr. Bloch is on the Scientific Advisory Board of Therapix Biosciences and receives research support from Biohaven Pharmaceuticals, Neurocrine Biosciences, Janssen Pharmaceuticals, and Therapix Biosciences. Dr. Bloch also receives research support from the Lesbian Health Fund, the National Institutes of Health, Tourette Association of America, the Brain & Behavior Research Foundation (formerly NARSAD), and the Patterson Foundation. Dr. Artukoglu has no conflicts of interest to disclose. No sources of funding were used to assist with the preparation of this article. Abide Therapeutics. Abide Therapeutics reports positive topline data from phase 1b study of ABX- 1431 in Tourette syndrome. 2017. http://abidetx.com/news/abide-therapeutics-reports-positive-topline-datafrom-phase-1b-study-of-abx-1431-in-tourette-syndrome. Accessed 1 Apr 2019. FDA. FDA finds drugs under investigation in the U.S. related to French BIA 10-2474 drug do not pose similar safety risks. Updated 8/12/16. https://www.fda.gov/Drugs/DrugSafety/ucm482740.htm. Accessed 1 Nov 2018. Hannover Medical School. CANNAbinoids in the Treatment of TICS (CANNA-TICS) [ClinicalTrials.gov identifier NCT03087201]. National Institutes of Health, ClinicalTrials.gov. https://ClinicalTrials.gov. Accessed 1 Apr 2019. Therapix Biosciences Ltd. Therapix Biosciences announces topline results of phase IIa study at Yale University for Tourette Syndrome Program. 2018. https://www.prnewswire.com/news-releases/therapix-biosciences-announces-topline-results-of-phase-iia-study-at-yale-university-for-tourette-syndrome-program-300626244.html. Accessed 11 Oct 2018. Therapix Biosciences Ltd. A study to examine the efficacy of a Therapeutic THX-110 for Tourette syndrome. [ClinicalTrials.gov identifier NCT03651726]. National Institutes of Health, ClinicalTrials.gov. https://ClinicalTrials.gov.